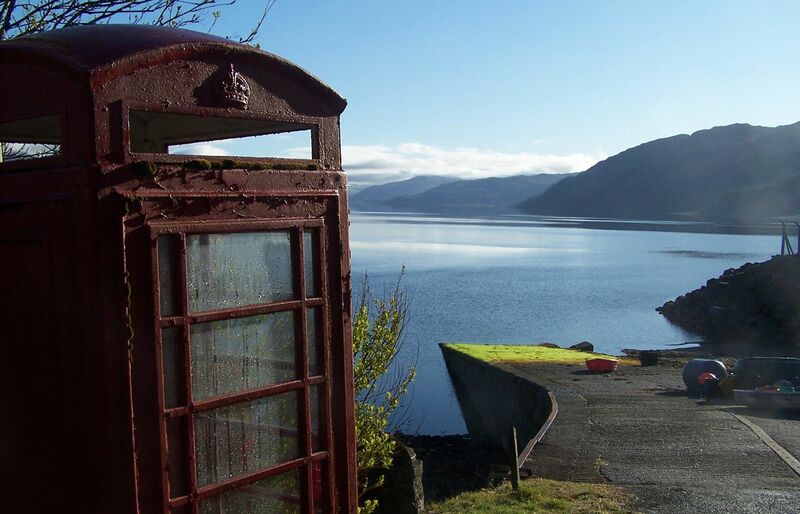 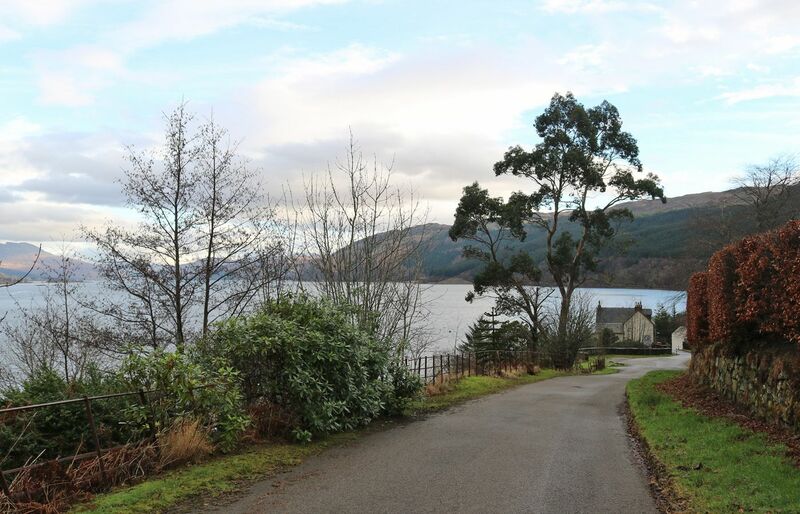 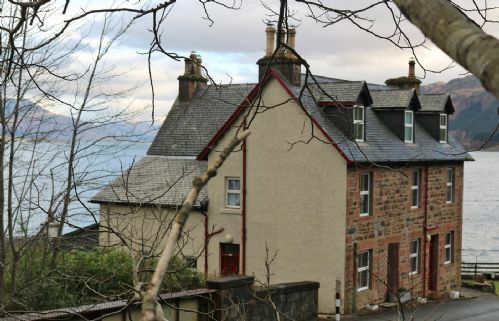 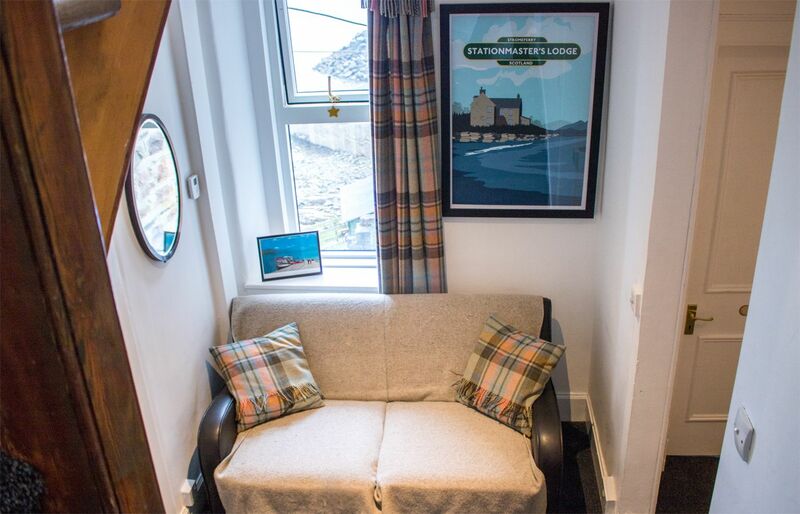 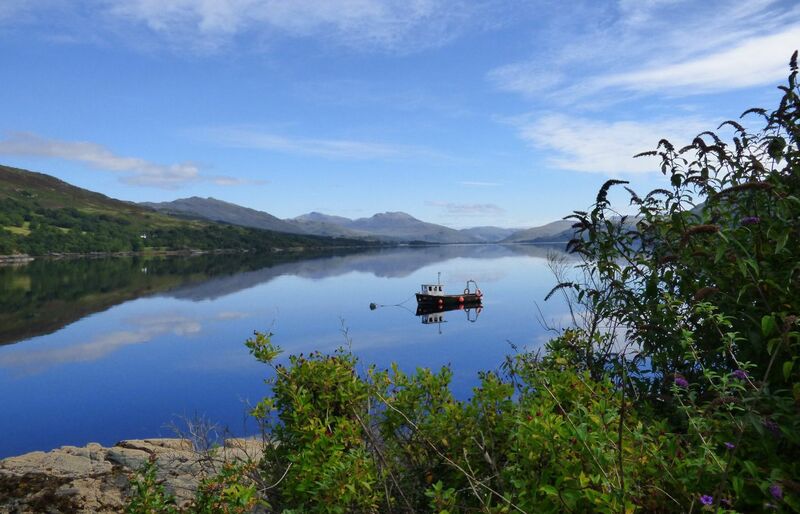 Located in the stunning highland village of Stromeferry (no ferry! 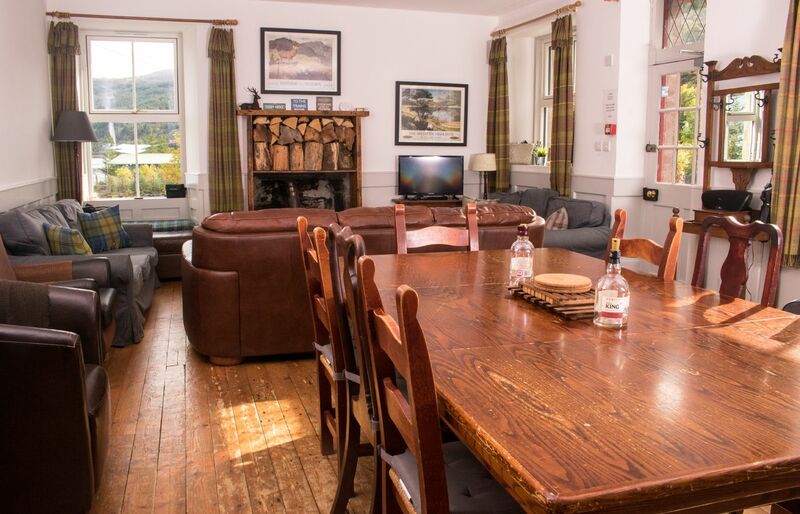 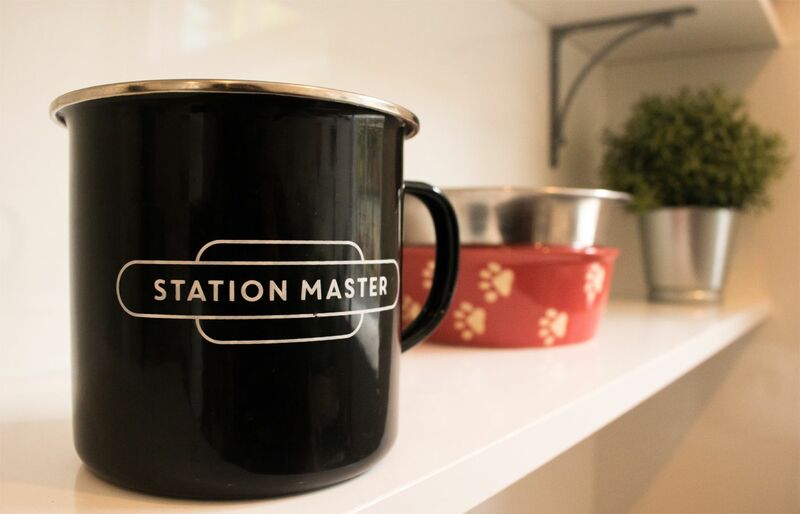 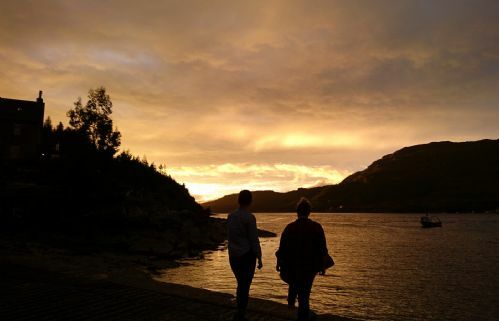 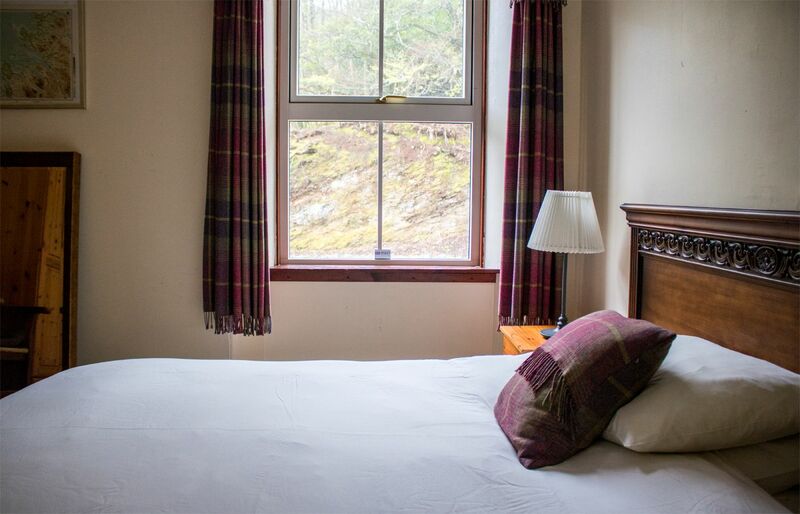 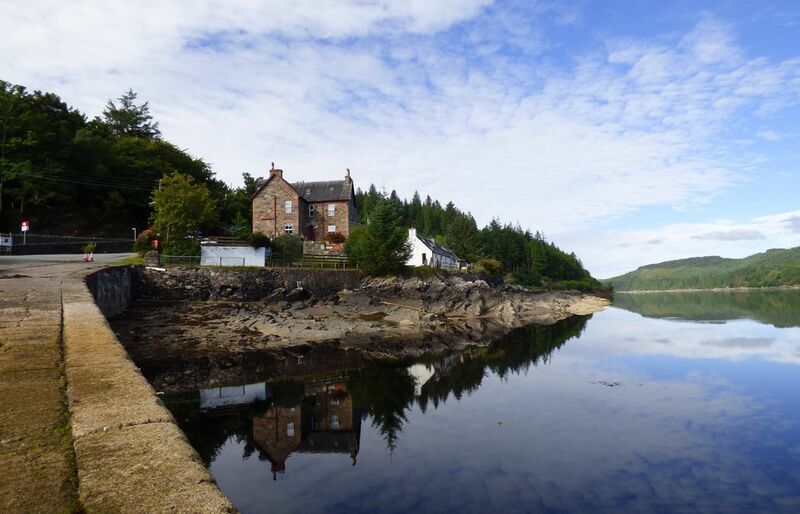 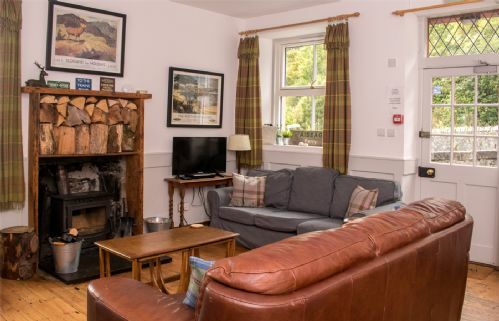 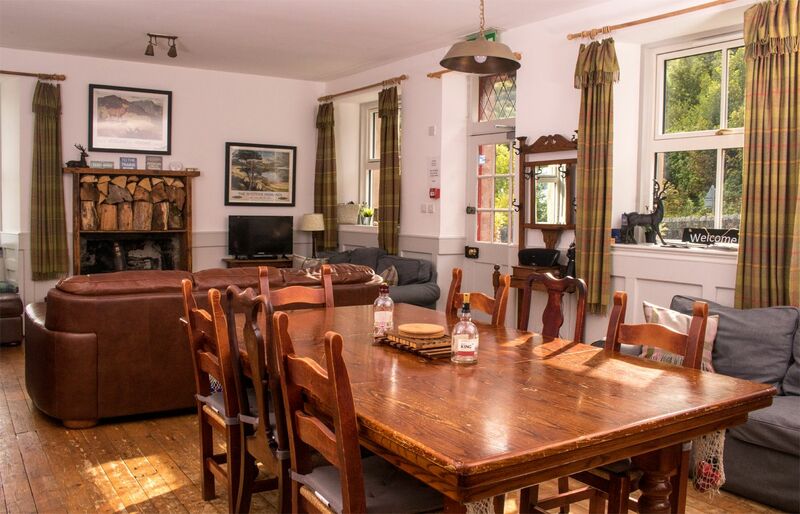 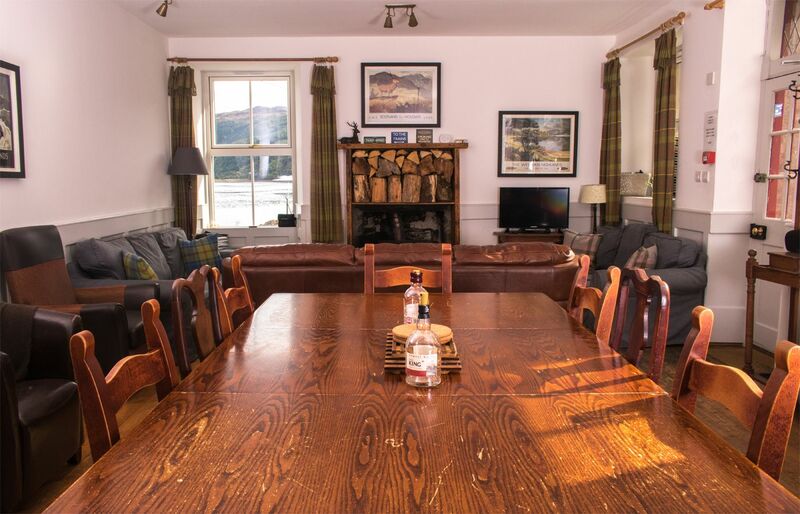 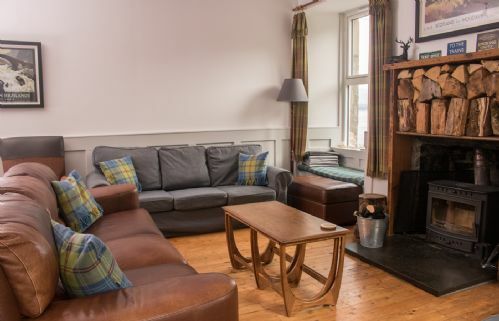 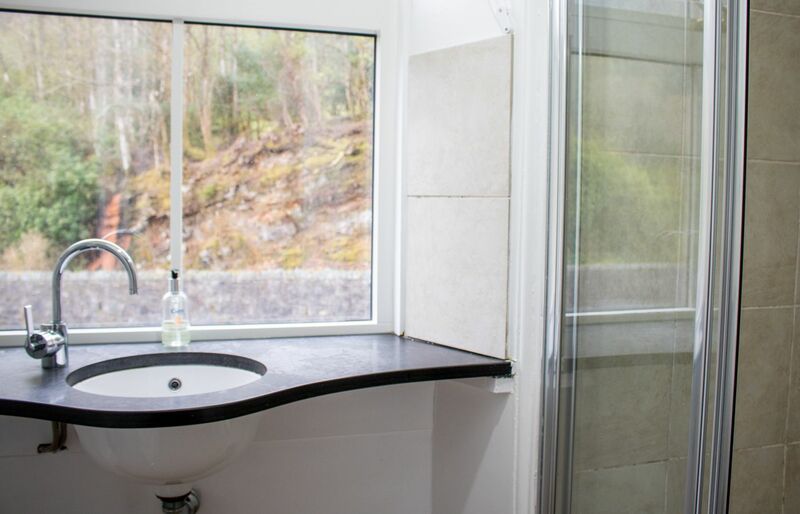 ), amongst spectacular west coast scenery and overlooking Loch Carron, the Stationmaster’s Lodge is ideal holiday accommodation for large groups, family gatherings and groups of friends, with amazing loch views, plenty of space and great facilities including a cosy wood burning stove. 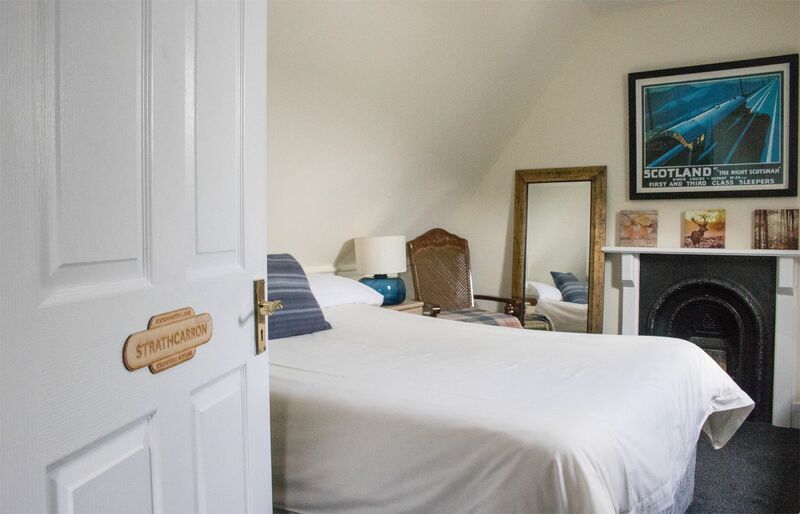 This is a large house packed full of character and history spread over three levels and there are eight bedrooms, half of them en-suite. 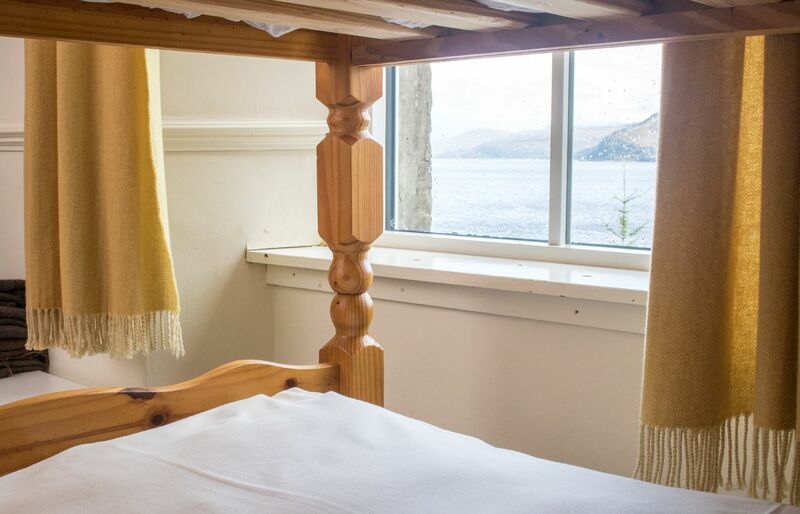 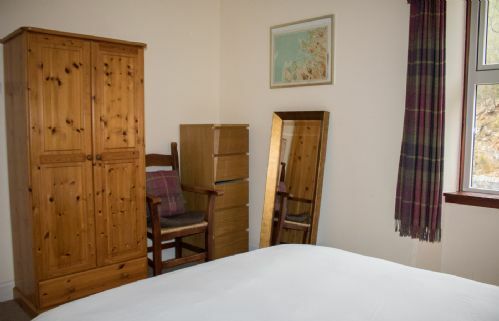 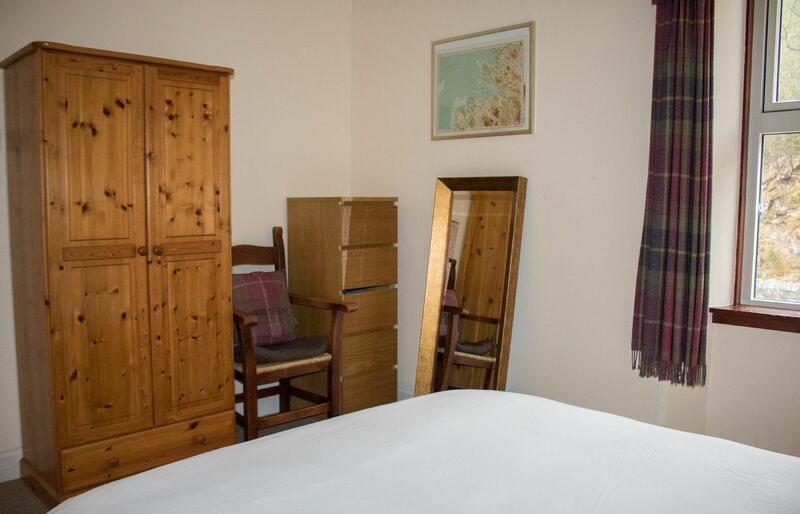 The rooms are a good size and some of them have incredible loch views. 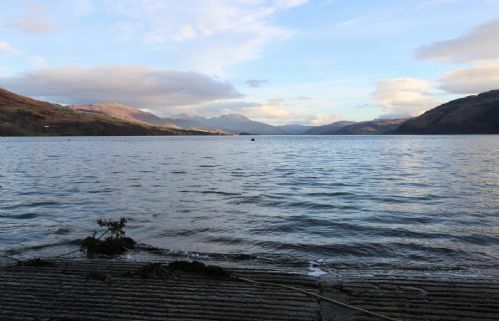 Look out for otters on the shore! 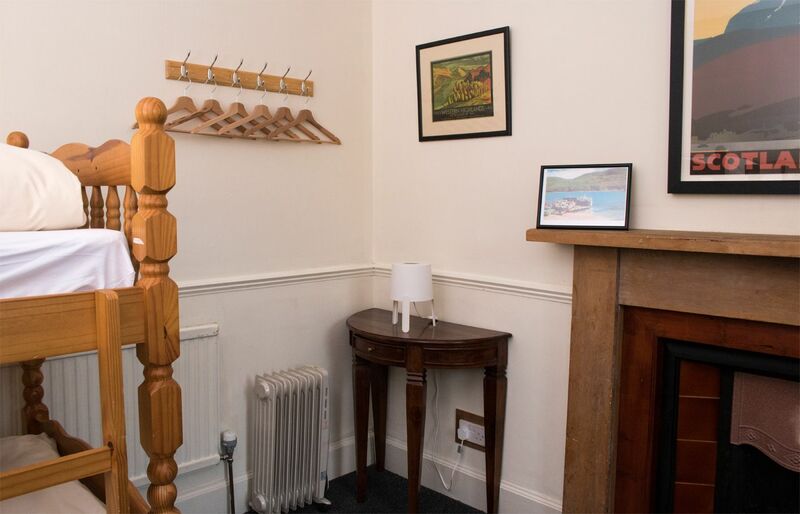 The main door leads you into the open living space which makes a great social room. There is lounge area with log burner, comfortable sofa's, TV with DVD player and a selection of DVD's. 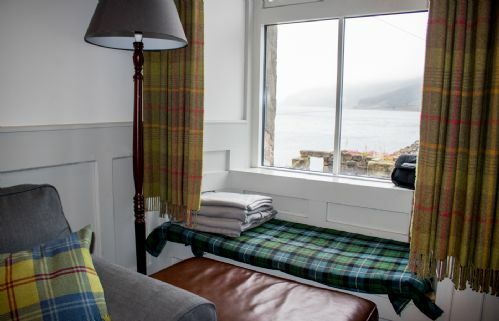 The window seat is a favourite place to gaze at the view whilst reading your favourite book! 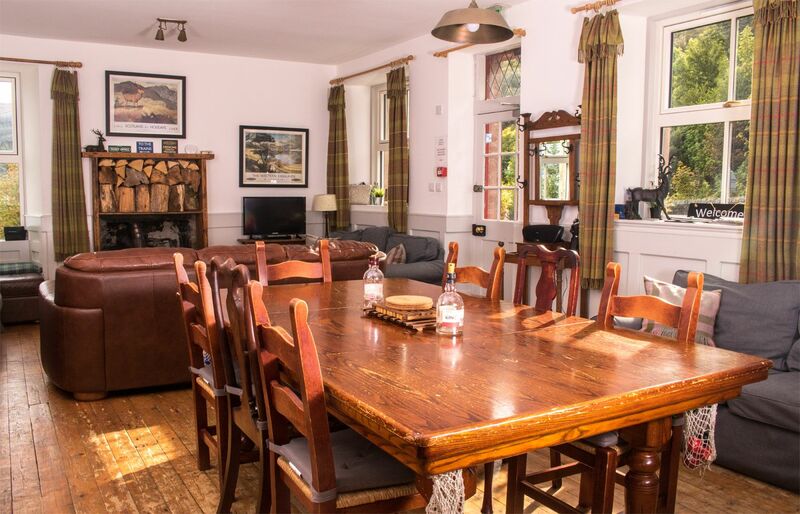 The dining area has a table which can easily seat 10 people. There are two additional folding dining tables and chairs that can be used to seat up to 17 people for family dinners. The dining table doubles as a pool table and there is a wide selection of board games and books. WiFi is available. 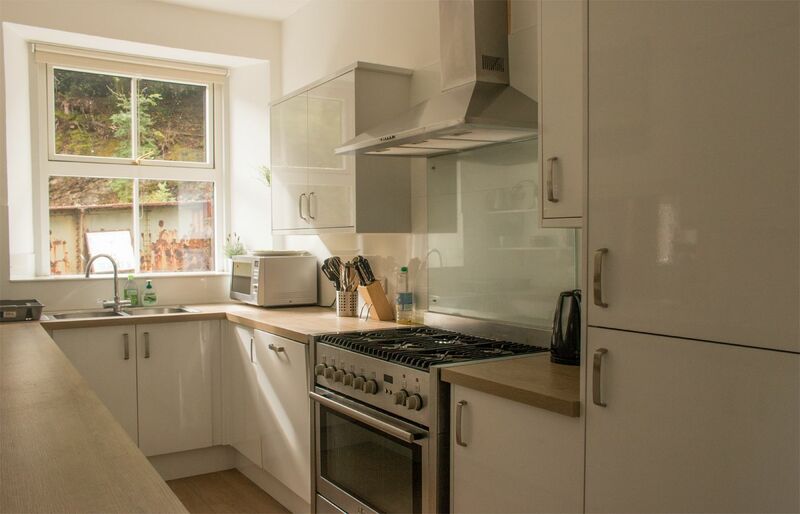 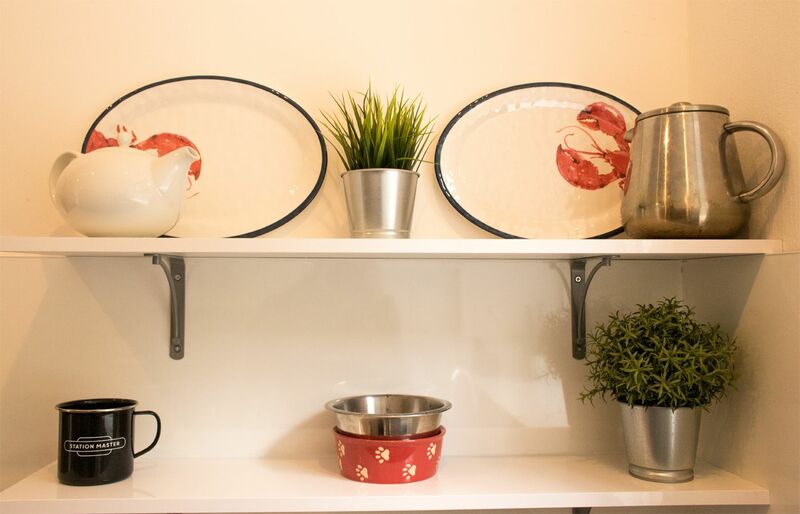 The kitchen is snug but very well equipped with a 6 burner gas stove and large oven (perfect for cooking up large meals! 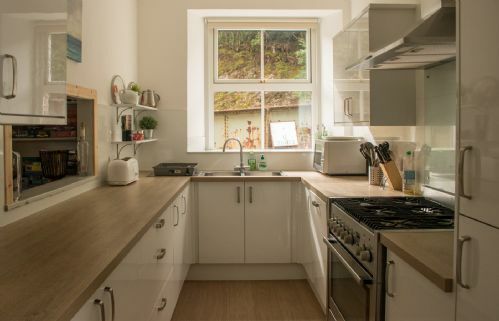 ), a dishwasher, microwave, cafetierre and a large fridge. 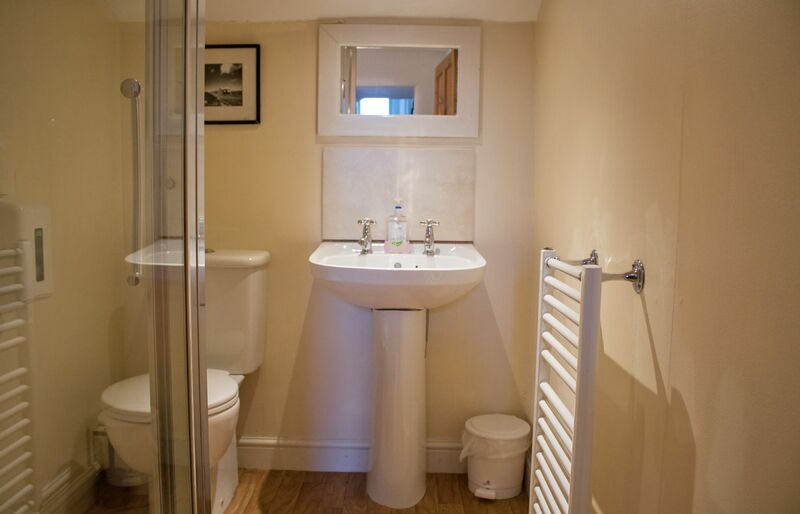 There is also a cloakroom on the ground floor with W.C., wash hand basin and drying rack. 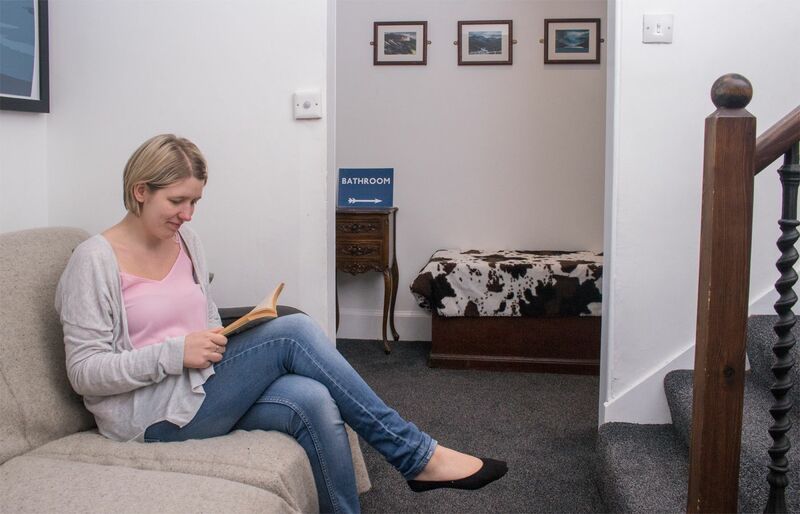 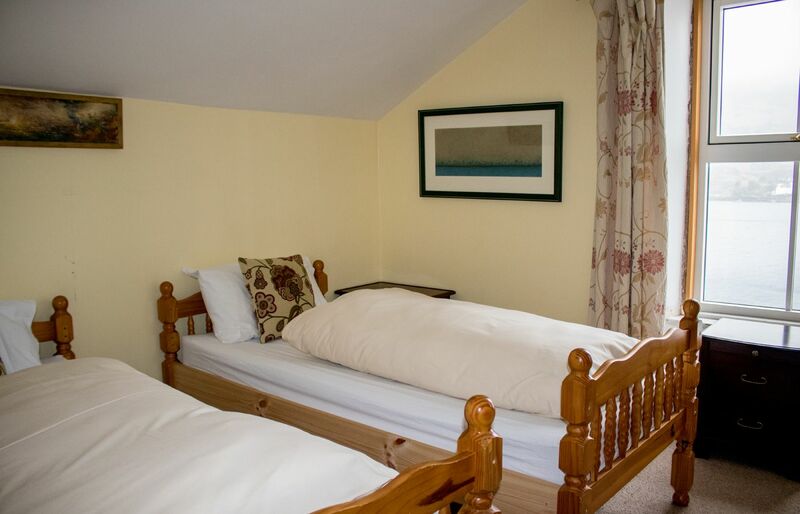 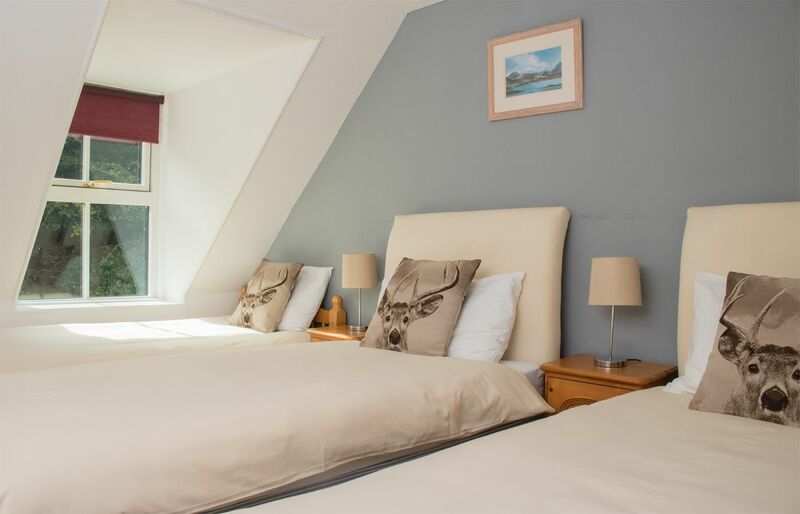 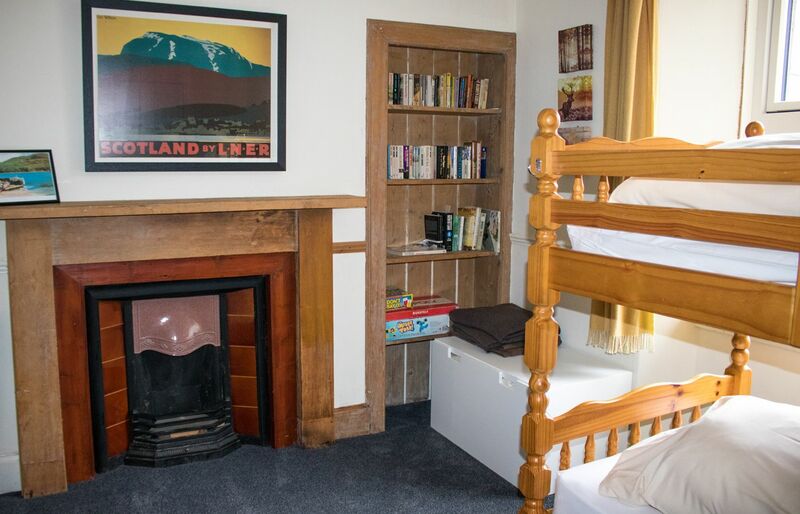 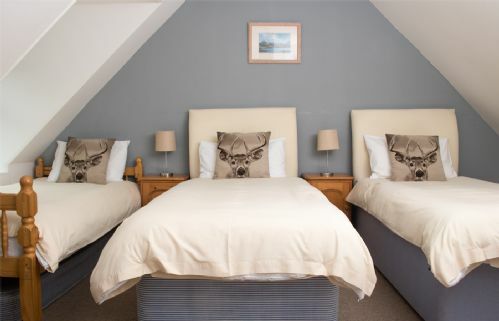 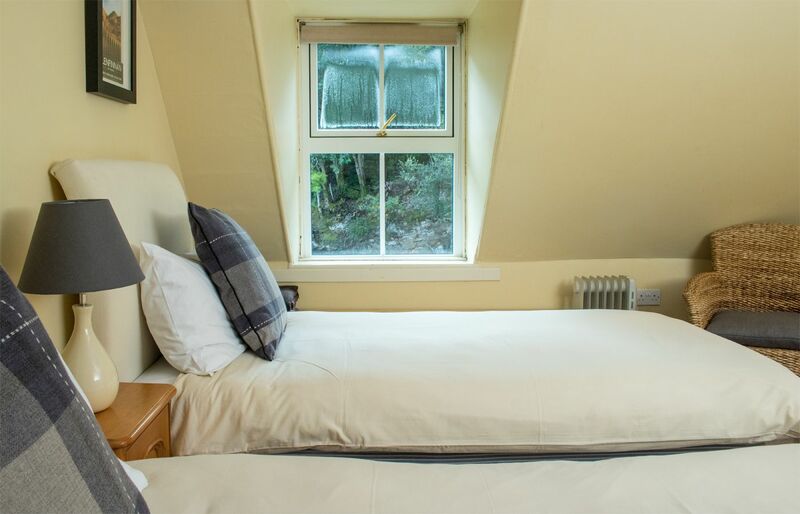 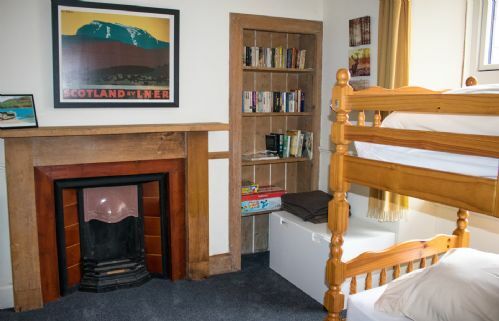 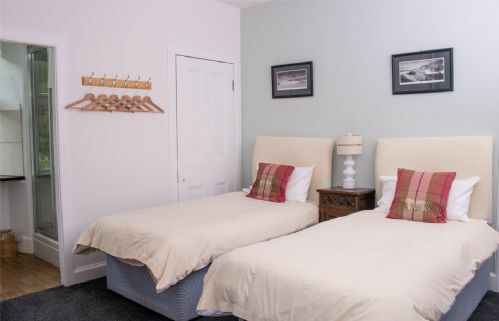 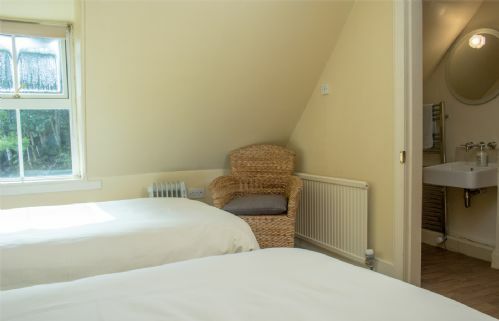 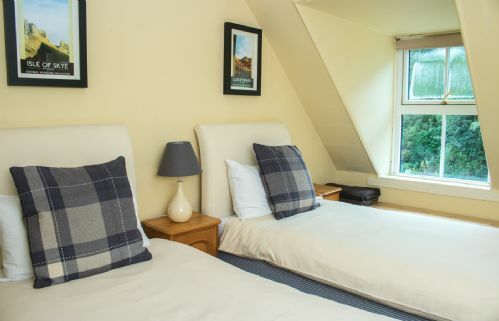 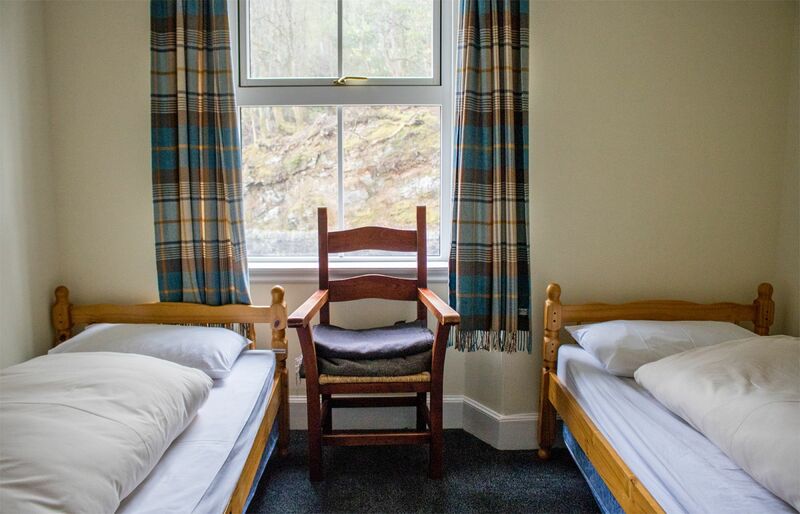 On the first floor there is a double bedroom with ensuite, a quad with two sets of bunkbeds, a twin bedroom and two bedrooms which can either be a twin or a double. 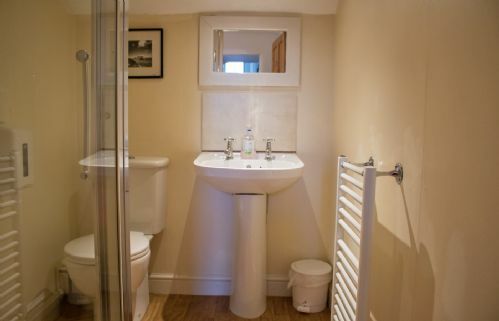 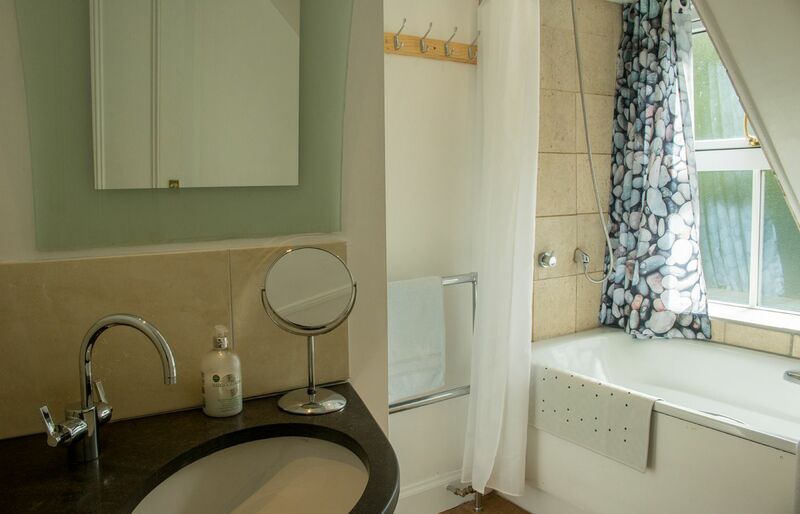 One of these two flexible rooms has an ensuite shower room with W.C. and wash hand basin. There are also two shower rooms with walk-in showers, W.C. and wash hand basin for everyone to share. On the second floor there is a family bedroom with a double and a single bed, a twin or double with a shower room ensuite and a triple with three single beds and an ensuite bathroom with bath which has a shower over, W.C. and wash hand basin. 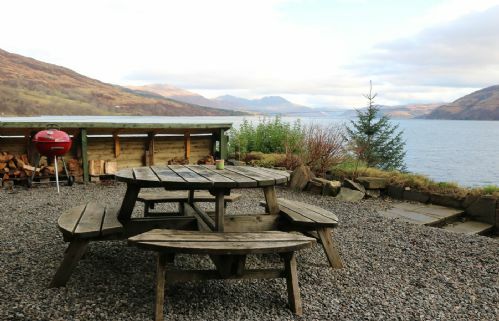 Stationmaster's House has a great BBQ area with picnic bench giving views straight down Loch Carron! The slip is next to the lodge so perfect for those looking to kayak or to launch a boat in the area and there are forest walks giving great views over the area. 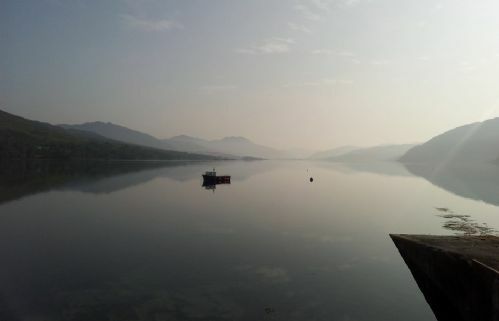 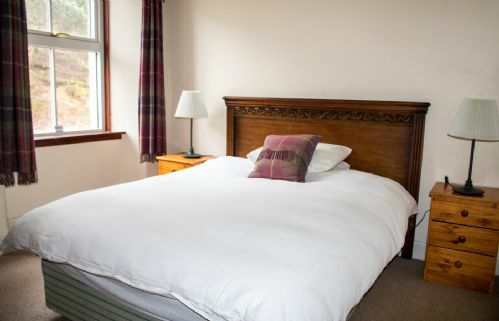 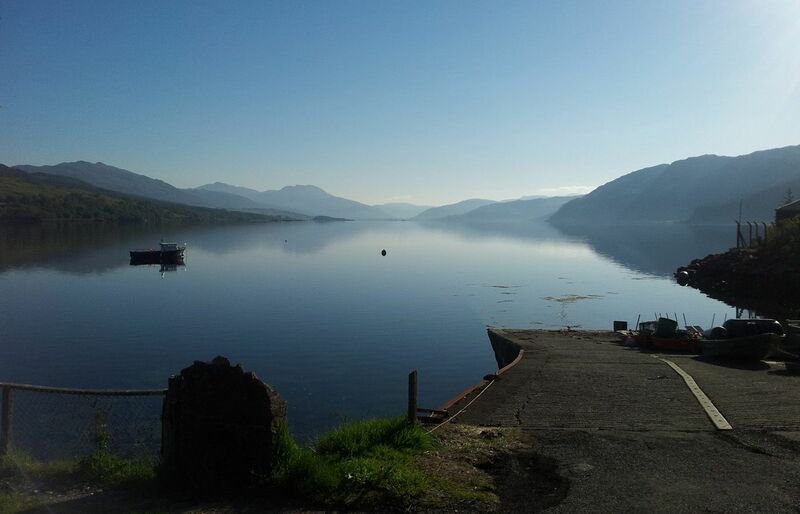 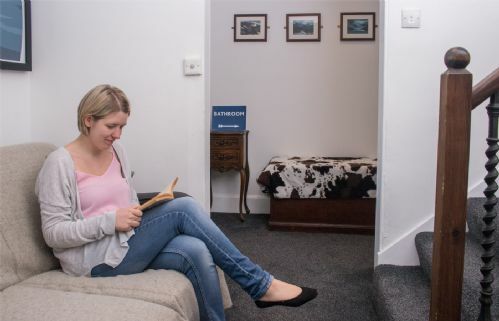 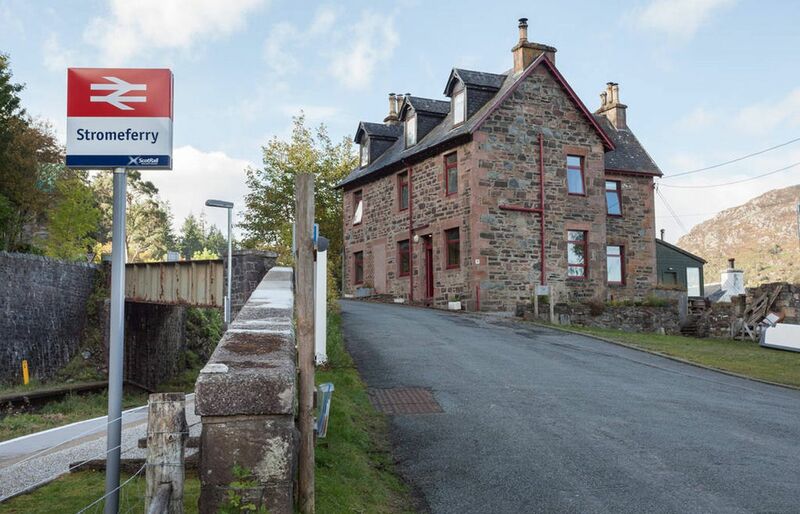 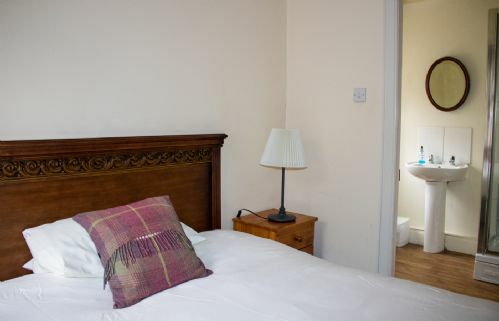 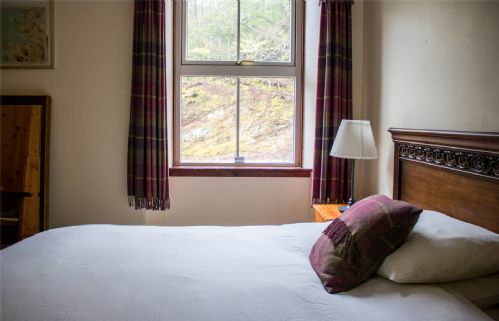 There is ample off street parking for up to 4 vehicles and there is the local train station opposite the lodge which connects Stromeferry with Kyle of Lochalsh and Inverness. 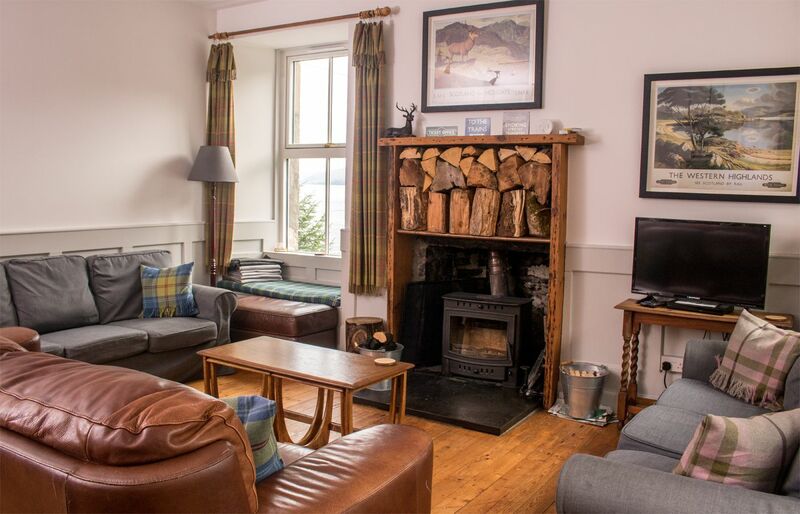 Dogs are also welcome to stay at the holiday home. 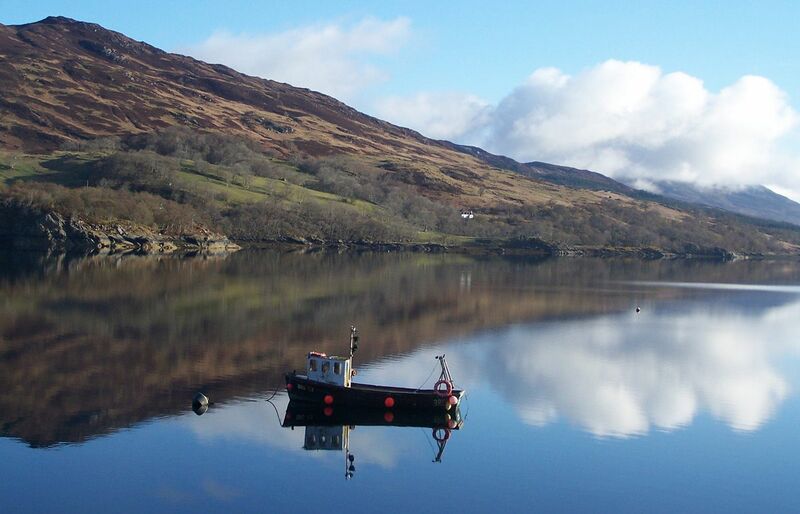 This is a wonderful corner of the West Highlands, where a remote and dramatic landscape meets the sea. It’s feels remote and off the beaten track, and yet is easily accessible from the main road to Skye. 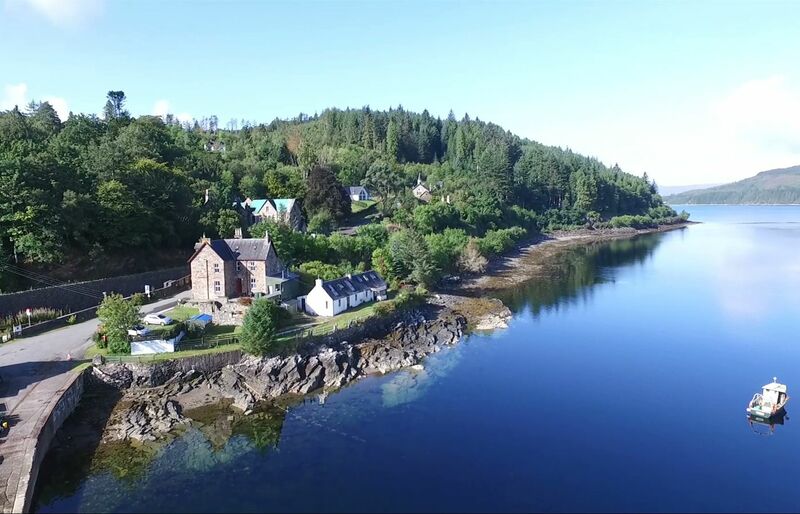 Its lochside location is magical and a perfect base for groups looking for a highland holiday lodge!